Jan Koum was born on Feb 24, 1974, in Kiev, Ukraine, to a family with Jewish origin. Back in 1992, he and his mom moved to California, US, where they lived in a small apartment that they got with the help of social support program there. Jan was 16 years old back then and he and mother hardly made the ends meet. The young boy worked as a cleaner at a shop for some time to help the family financially. When the young Koum was 18, he got interesting in coding. He got accepted in the San Jose State University where he studied computer science and managed to find a job as a tester in Earnst & Young. This was actually where Jan met his future partner – Brian Acton. In Jan 2009, caught by the “i” mania, Koum purchased an iPhone. He immediately realized the huge potential in front of the mobile apps industry. He shared his enthusiasm with friend – Alex Fishman, and they both, along with Brian discussed for hours Koum’s idea about a chat app. This was when the name WhatsApp was born actually, it sounded like “what’s up”. Non of They needed an experienced developer as non of the three had sufficient coding knowledge. Fishman managed to find one on the Russian freelance site – RentACoder.com . 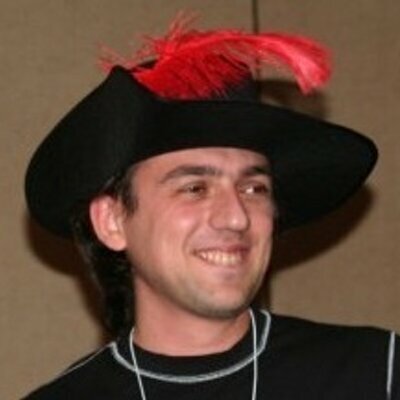 This guys was Igor Solomennikov, who was introduced to Koum and became the first software engineer in the company (he worked there up to 2018). 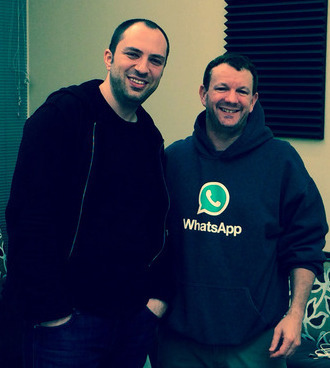 Jan wasted no more time, on his birthday, Feb 24, 2009, he officially founded the company “WhatsApp Inc.”. Initially, the new WhatsApp 1.0 was not a great success. Its early versions had so many bugs, it crashed too often and was missing so many features that Koum was seriously thinking of giving up a couple of times. He even started looking for a new job but Acton managed to convince him to wait for another couple of months and give their new venture a chance. Everything started getting a little bit better after in June, 2009, Apple released the functionality called ‘push notifications’, with the help of which WhatsApp v 2.0 had some additional functionalities and could notify everyone in the user’s group of his/her status change. After that release, the active users of the app suddenly went up to nearly 250 000. In that time Acton was still unemployed, he was running another start-up himself… However, realizing the potential of WhatsApp he decided to give up his other activities and joined the company. In October, he managed to persuade 5 former Yahoo! colleagues to invest $250k in the WhatsApp start up. This was how he himself also got a stake in the company and became one of the co-founders (He officially joined on Nov 1, 2009). After more than half a year in development, the first stable version of WhatsApp was ready and it was officially released on the App Store in Nov, 2009. Chris Peiffer was also hired to develop the version for BlackBery that was released a couple of months later. By the beginning of 2011, WhatsApp made it to the top 20 list of apps on the App Store. In April 2011, after a long period of negotiations, the famous venture capital company – Sequoia Capital invested about $8 million in the start up, buying just 15% of it. This valued the whole company at over $50 million. In 2013, Sequoia invested another $50 million valuing this time WhatsApp at 1,5 billion. On February 9, 2014, Koum was invited to a private dinner. The invitation came from not anyone else, but Mark Zuckerberg himself. At the dinner in Marks home, Koum was officially offered to join the Facebook board of directors. 10 days after that an announcement was released that Facebook was buying WhatsApp for the mind blowing $19 billion. The biggest social network would pay $4 billion in cash and the rest $12 billion would be paid with Facebook shares. According to the agreement, additional $3 billion in restricted stock units would be granted to WhatsApp’s founders and employees that would vest over four years subsequent to finishing the deal. This made Jan Koum and Brian Acton billionaires overnight. Over the next years WhatsApp has been growing, Koum and Acton have always followed a simple rule – no ads, no marketing. They wanted WhatsApp to be just a simple and powerful instant messaging mobile application. This was probably one of the main reasons for the success of the app. Almost every user hates ads popping here and there and this was one of the reasons people chose this one. They didn’t sell advertising and they didn’t buy it. Probably there is no such a company in the USA, not spending even a dime for marketing. And this turned out to be a strategy for billions. During the years, people liked WhatsApp more and more. The number of registered users have been increasing really rapidly. Today, the number of daily active users has reached 500 million and its currently growing with around 25 million per month. The instant messages sent via the platform are around 20 billion daily. Facebook recently announced that they are planning to create their own crypto currency that will allow WhatsApp users to make micro payments between each other, independently, on the blockchain. These plans are yet to be delivered. Today WhatsApp is available for almost any device: Android, iPhone, Nokia, Windows Phone, etc. Everyone can download it and use it for free.